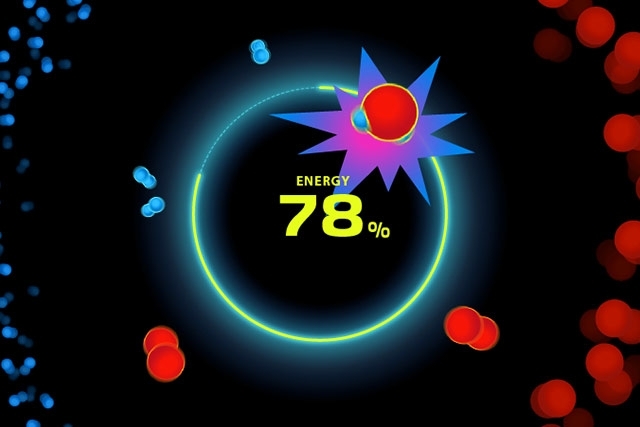 A suite of gesture recognition simulations and interactive experiences. 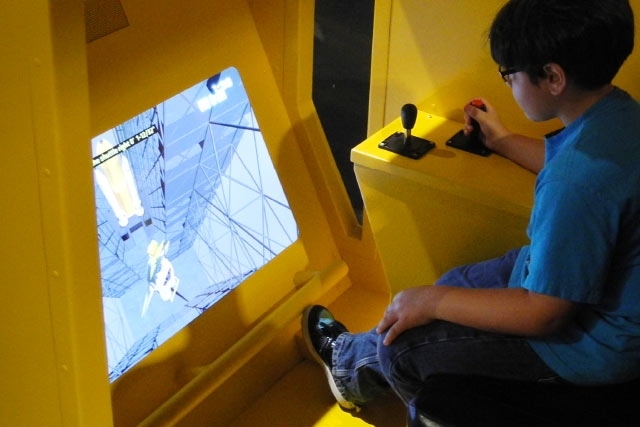 Several simulators round out Unified Field’s interactives at the Space Shuttle Atlantis Attraction. 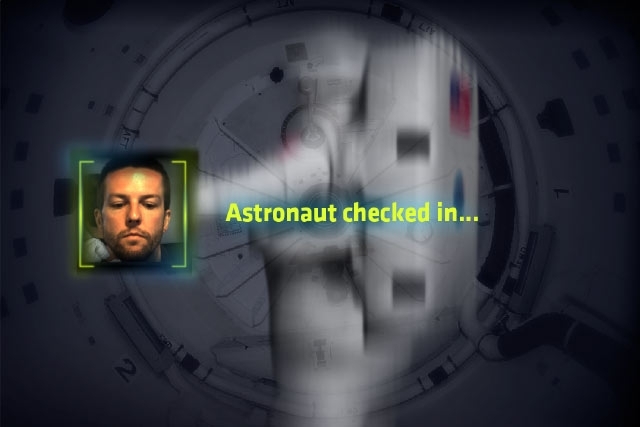 The Spacewalk Gesture Recognition Simulator enables guests to don a digital spacesuit, replete with a photograph of themselves in the helmet, and complete virtual space missions. 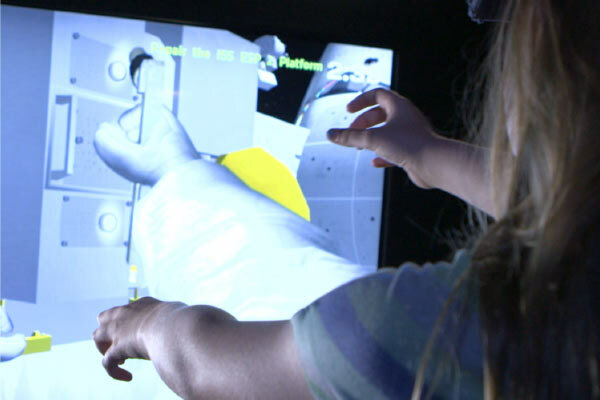 The Robotic Arm Simulator puts guests at the virtual helm of the Canadarm robotic arm, allowing players to capture satellites. 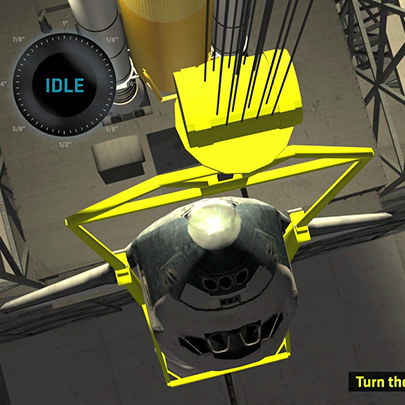 Nearby simulations challenge guests to grab a joysick and land the space shuttle or dock it to the International Space Station. 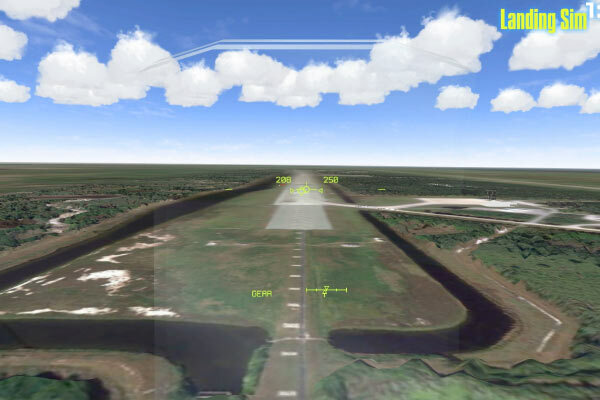 The landing simulator encourages guests to pilot the Space Shuttle Atlantis back to earth. 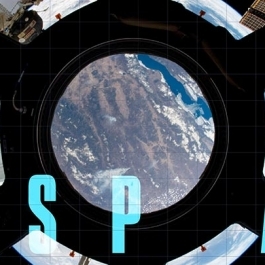 Working closely with Unified Field, we did a masterful job of checking sources, speaking with NASA staff, and condensing down complex material. 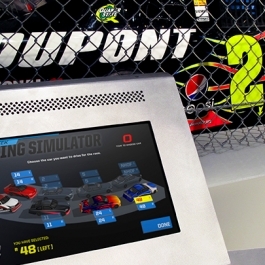 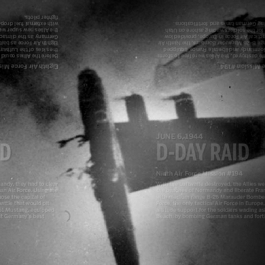 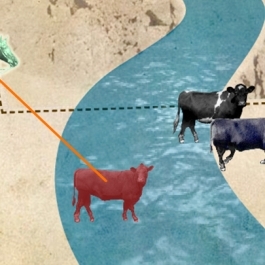 The real goal was to inform visitors while hoping to excite them to learn more. 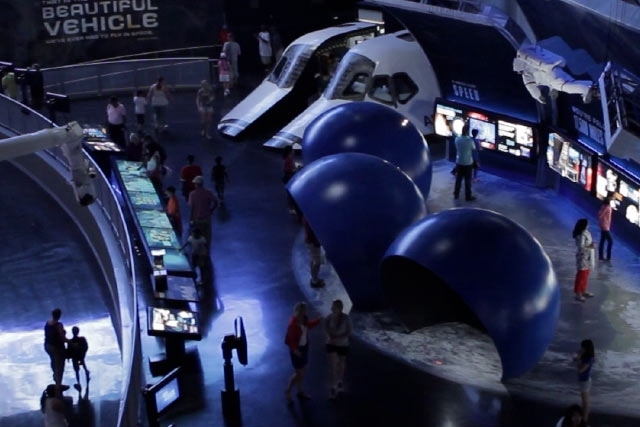 The interactive docking simulation lets Space Shuttle Atlantis Attraction visitors pull up to the International Space Station, while the Canadarm simulation allows guests to capture satellites. 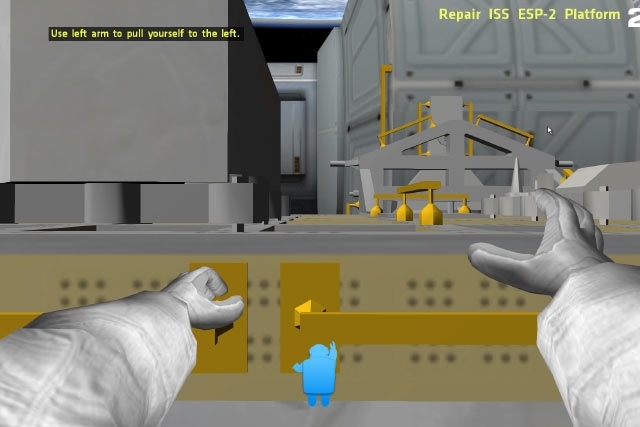 A spacewalking simulator uses gesture recognition technology to send Space Shuttle Atlantis guests out into the vacuum of space to complete repair missions.